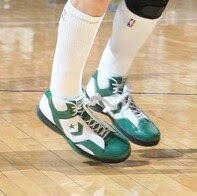 The Converse Blog: 'S Weapon Wednesday: Kyle Korver in White/Green/Black Weapon EVO. 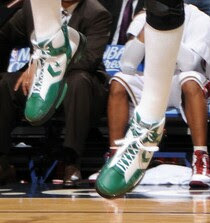 'S Weapon Wednesday: Kyle Korver in White/Green/Black Weapon EVO. 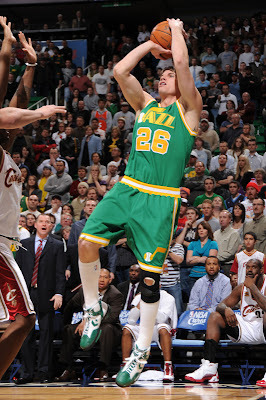 Once I knew that the Jazz would be rocking throwback jerseys this year I was looking forward to the interesting colorway Converse would cook up for Korver. And while I think it would be better to have the yellow midsole, I can't complain with the execution. I particularly love the solid green toe cap area which is different than any of the other Weapon EVO colorways i've seen.